lola's secret beauty blog: Prime Beauty is Banished to The Beauty Spotlight Team's Desert Island! What are her 12 Must-Have Products? 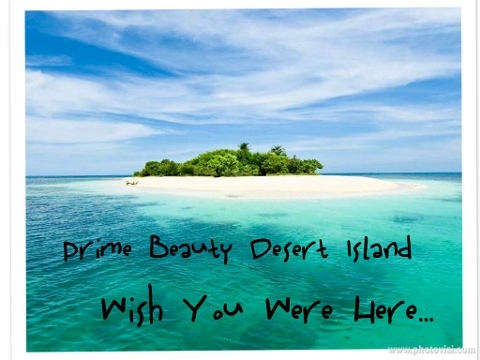 Prime Beauty is Banished to The Beauty Spotlight Team's Desert Island! What are her 12 Must-Have Products? It's Prime Beauty's turn to get dumped on the desert island with her 12 must-have products. She's hoping she'll meet a handsome island man who will appreciate her efforts! Click here to find out her must-have beauty picks!